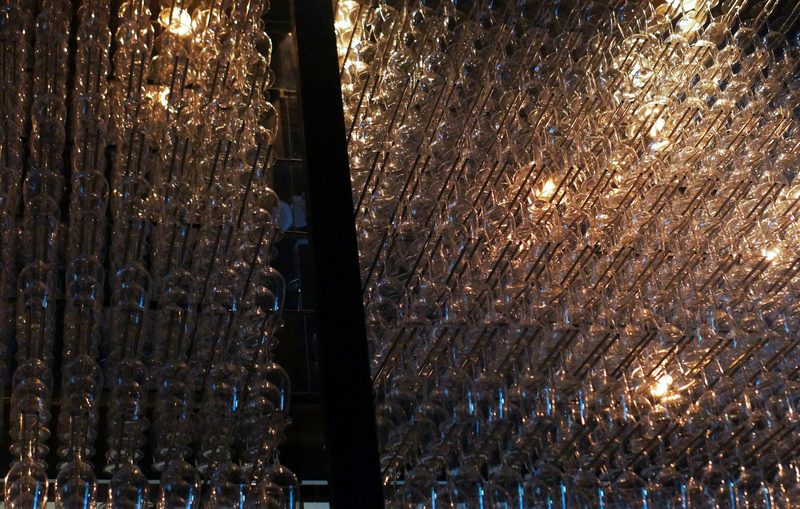 This will be a quick post to cover our visit to Rockpool Bar and Grill – apologies for the really dark and grainy photos (Mr C forgot his low light lens). Since Mr C and I both work nearby we always said that we needed to try the famous wagyu burger that is served in the bar section of the restaurant, it seemed like a relatively pricey burger but it was a must-try for the both of us. 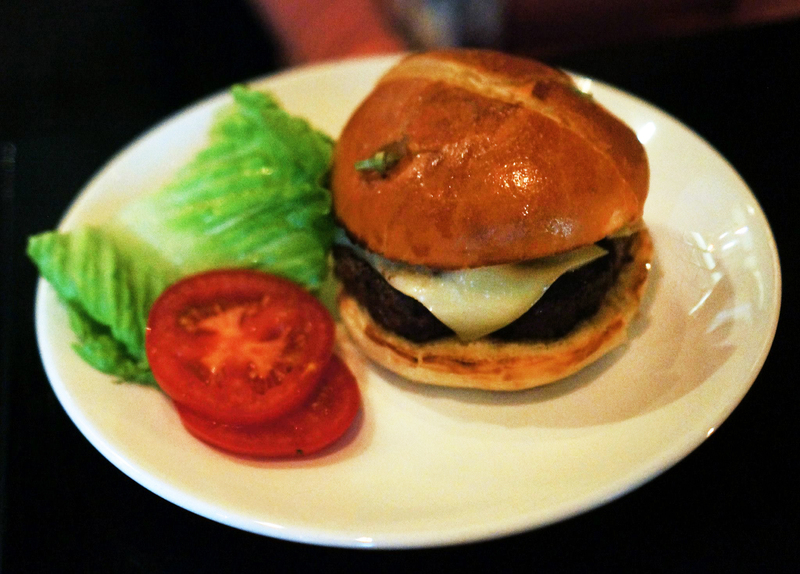 Behold the famous David Blackmore’s Full Blood Wagyu Hamburger w/ Bacon, Gruyere Cheese and Zuni Pickle. This is supposedly the ‘best’ burger in all of Sydney and there’s been much talk about how good the meat is, I have to admit I was a little skeptical because the burger didn’t look amazing from the photos I’d seen. Once it arrived and I had taken my first bite I was easily proven wrong because the patty was top quality with great flavours and a soft texture, overall one of the best burgers I have had. The only downside of the burger is that it falls apart quite easily and it was a little difficult to eat but once you got the hang of it the burger was pure bliss. The Po-Boy and Onion Rings were really just fillers since we knew the burger wouldn’t be enough but they turned out surprisingly delicious regardless. 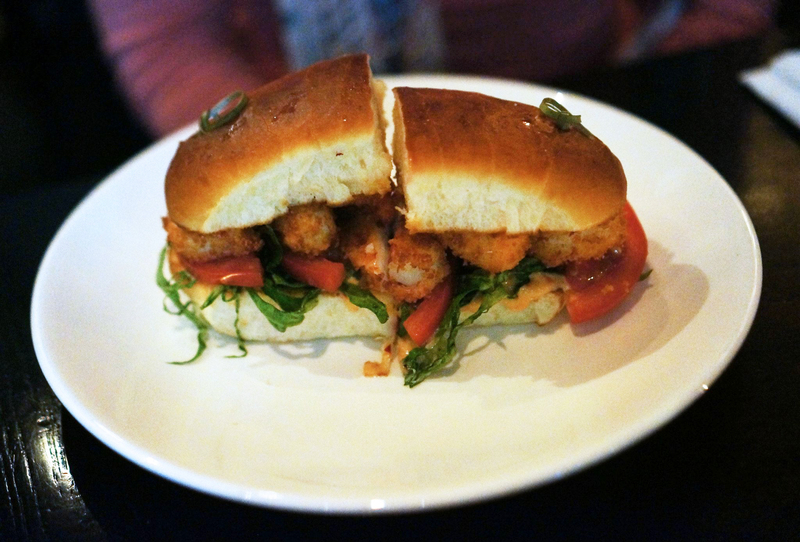 The Po-Boy contains succulent pieces of fried prawn and the accompanying chilli mayo was simply mouth watering, much easier to eat and better constructed than the burger 😉 The onion rings were also really nice, with a great tomato relish and onions fried to a crunchy crisp exactly how I like them. 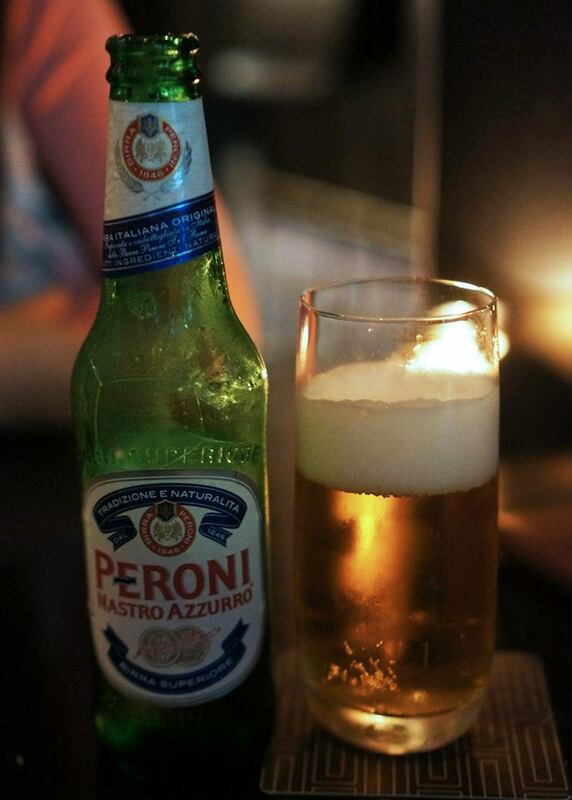 It didn’t really matter that it was a Tuesday when I realised I could be having a Peroni with my burger, this small touch made it the perfect meal. I’m sure you all would have realised that we’re both quite into beers ever since returning from Europe and we really have a soft spot for any European, Korean or Japanese beer. The bar itself was quite busy for a Tuesday with mostly corporate types, I would imagine Fridays are filled to the brim with patrons because of the quality of food and choice of drinks. 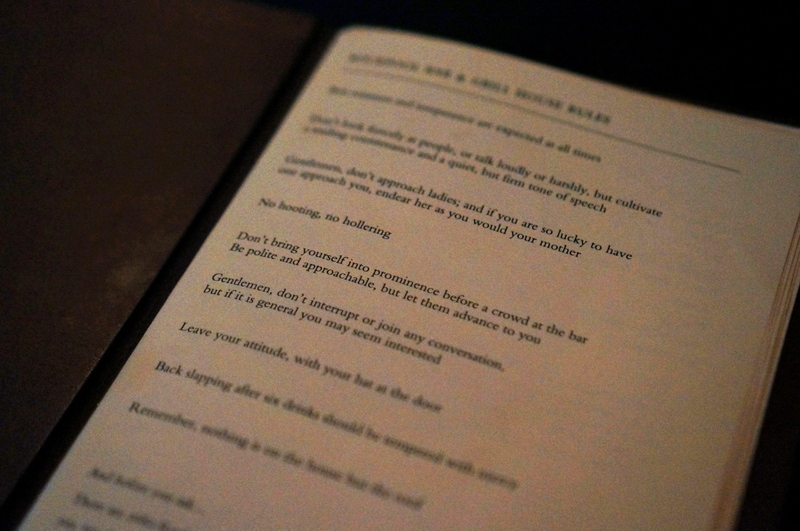 It’s quite a classy establishment and the ‘rules’ on the first page of the menu are befitting of such a venue – some of them are quite hilarious actually but it makes sense considering how classy the atmosphere is. I’m also quite curious about the restaurant section of Rockpool Bar & Grill, I’ve heard many good things about the steak which is also rated one of the best steaks in Sydney. Didn’t realise they were selling po boys here now! Yum. 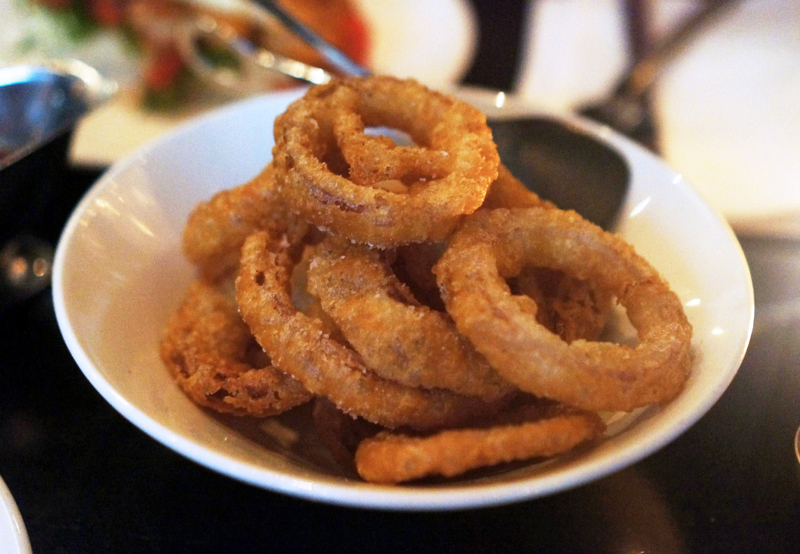 Woo for the classic burger and onion rings combo! Unhealthy, but absolutely delicious 😀 Gotta go back to Rockpool to try out that burger. oh man i still havent tried this burger and now im dying to! Solidly rate this burger – I’ve never had a better one I’ll be honest. Steep price though. i too have heard a lot abt the cheeseburger! shall try it for myself soon!